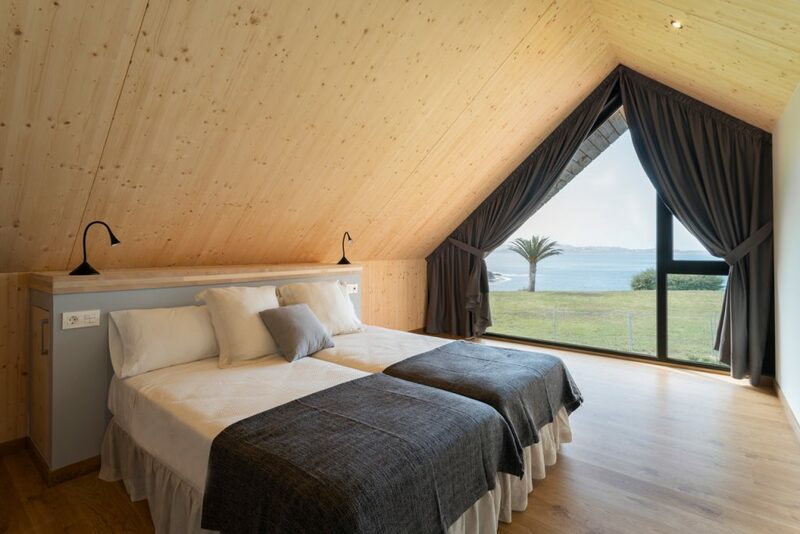 The Lodges of Canide is an eco-friendly project located in the Biosphere reserve “Mariñas Coruñeses e Terras do Mandeo”, the second largest Biosphere Reserve in Galicia. 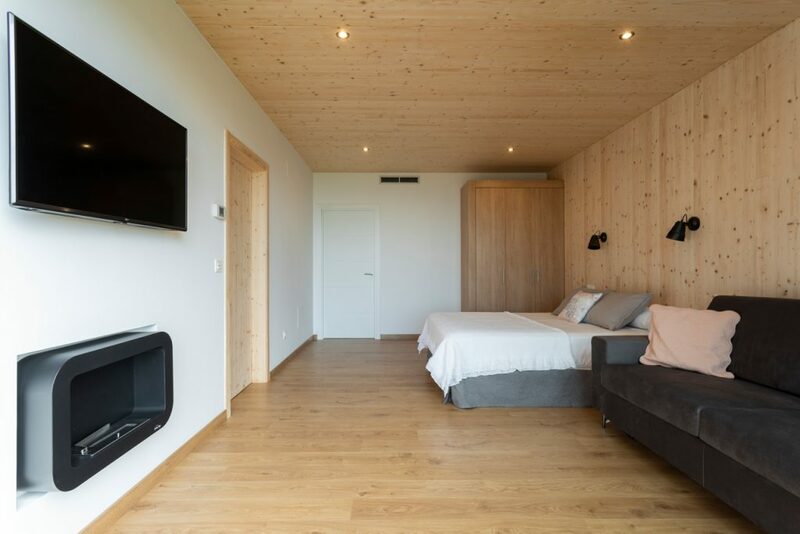 They are ecologically built wooden lodges that preserve and respect the environment. 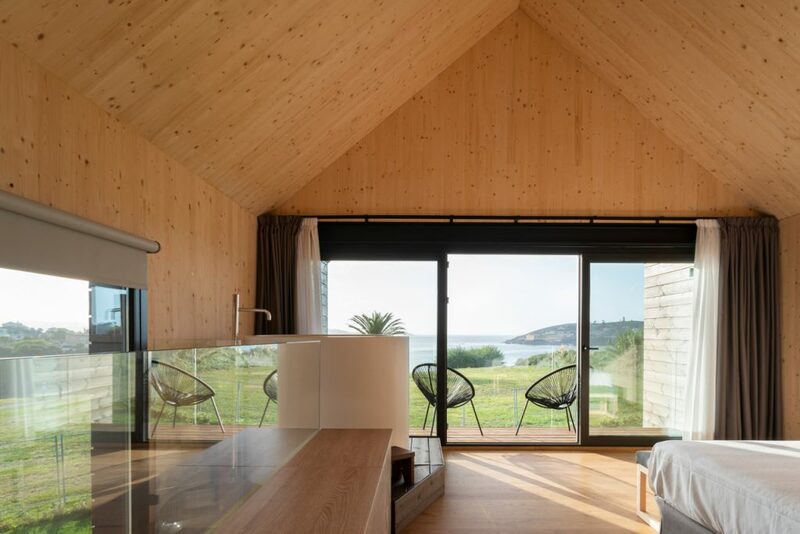 The complex is located in the Santa María de Canide development, Mera, 12km from A Coruña, and has a lodging capacity of up to 20 guests. 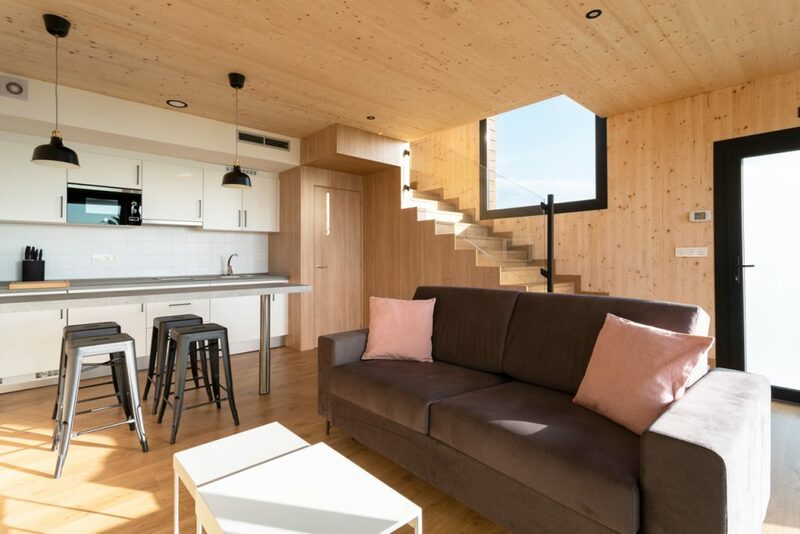 It is ideal for families, couples or groups of friends that are looking for somewhere in an idyllic location with incredible views of the Coruña coastline and the Tower of Hercules. Perfect for spending a few days submerged in nature while enjoying the Galician cuisine, beaches and the joys of active tourism. It is made up of three apartments and a family suite that can be booked either separately or together, all of which possess large seafront windows, orientated to enjoy the amazing sunsets. The Lodges provide all of the amenities needed for an unforgettable stay. Booking confirmation implies the acceptance of the General Terms and Conditions of agreement. Subject to availability and prior confirmation, the schedule can be slightly modified to adapt to special circumstances of the guest. It is possible to contact us during your stay to inform us of any issues. The contact phone numbers are as follows: +34 696 47 89 47 (Spanish) / +34 619 73 83 00 (English). Las cabañas de Canide informs their clients, that the breakfasts offered in our lodgings may contain: gluten, lactose, egg and nuts. If you require products free of any of the allergens mentioned, please inform personnel in advance in order to be able to provide an adapted breakfast. No pets are allowed within the lodgings. We can provide the contact details of a reputed pet keeper located next to our establishment, and provides a complete service with lots of tender loving care. Price per day is 12 euros. Telf. 665 54 47 98, Juan Luis. As an external service to our lodgings, we do not accept responsibility for any agreements between clients and the pet keeper. By previous request we can pick up the laundry at your lodge and return it the following day clean and dry, without ironing.